Best Chinese Knives: Brother 1501G Knife Review - Big Disappointment! Brother 1501G Knife Review - Big Disappointment! Well, after one of my all-time favorite knives from China - here comes one of the most disappointing ones - the Brother 1501G. I was really impressed with its smaller brother (the Brother 1502), so I decided to try it out as well. First impressions were actually OK - the knife came in the standard Brother branded cardboard box, blade was centered, reasonably sharp, good lockup, fit and finish. 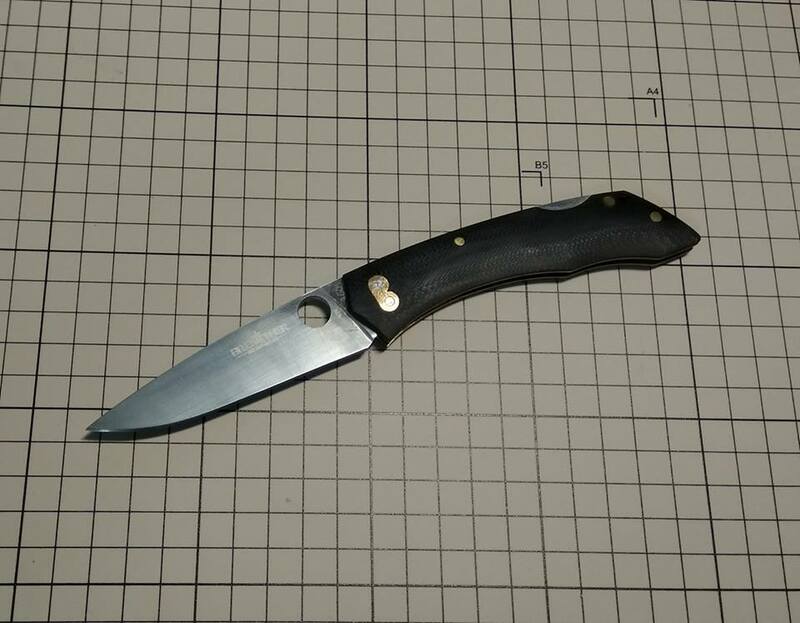 The only problem (like with many other Brother knives) - it was very dirty inside which made the action mediocre at best. I was expecting that, so I cleaned it up and that improved the action a lot. 1. The knife has pinned construction and the pins started coming apart at some point causing horizontal blade play and making it unsafe to use. 2. While closing the blade hits the steel backspacer, dulling a pretty large portion of the blade. 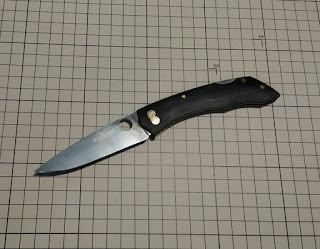 Well, I could try to fix these issues, but I think it just wouldn't be worth it, so I'll probably just turn it into a fixed blade and call it a day. I do know there are other folks who got theirs and haven't experienced these issues, but this is the case with my knife and it is important to share it IMO. Summary: Not recommended due to the issues listed above.